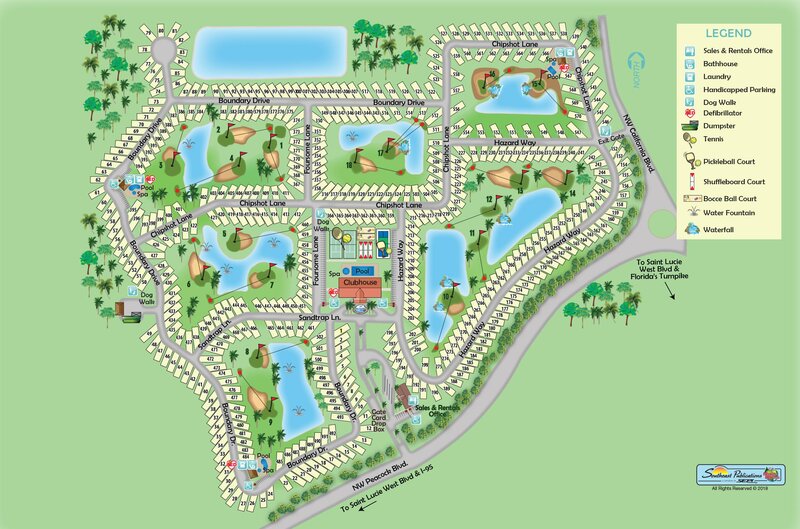 Come visit us at Motorcoach Resort St. Lucie West. We want to make sure that you are as comfortable as possible during your stay. Our friendly, knowledgeable staff will be happy to assist you in any way they can, from providing concierge services to answering any questions you may have.The Rental & Sales Office Spring/Summer hours are Mon-Sat 9:00 AM to 4:00 PM and Sundays are by appointment only. Fall/Winter hours are 7 days a week 9:00 AM to 5:00 PM. Information and directions to local attractions, shopping, beaches, parks, preserves, and outdoor markets. Recommendations for car rental, golf cart rental, RV repair, wash, and propane delivery. Office services including copy, fax, print, scan, & stamps. Mail: Mail services are provided for long term rental guests. Mail must come in a bulk package. An outgoing mail slot is located at the Guest Services office. The U.S. Post Office is located less than a mile south on Peacock Blvd.